All year round, the picture-perfect village of Stowe and the mountain resort that crowns it welcome families with outdoor adventures and activities to suit every interest. While strolling the delightful streets of Stowe Village, it is a pleasure to browse in locally-owned, small specialty shops where no chain restaurants or retail stores are anywhere in sight. Main Street has the church and steeple, red brick shops, a general store dating to the 19th century and the Green Mountain Inn from 1833. With its unspoiled, old-fashioned atmosphere in the shadow of Mt. 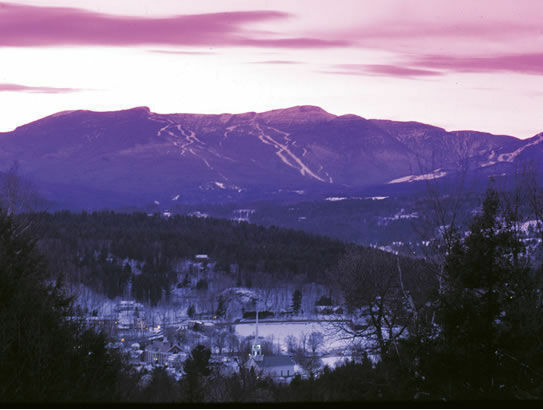 Mansfield, Vermont’s highest peak, Stowe should be on your list for your next vacation, whether it is to enjoy snowsports, fall foliage, the blossoms of spring, or warm weather activities. This isn't an undiscovered corner of Vermont by any means. Many affluent families from Boston have summer homes or ski chalets in the area, and snowboard pioneer and mogul Jake Burton Carpenter and his family — who can afford to live anywhere — proudly call Stowe home. Judging from the number of people who come to Stowe during the warm weather, you would never know that summertime is Stowe’s off-season. The mountain vistas and cool, clean air provide a backdrop for exciting adventures and peaceful relaxation. Activities include riding up Mt. Mansfield to the summit of Vermont via the 4.5-mile auto toll road or in the enclosed gondola skyride at Stowe Mountain Resort. At the summit you will find hiking trails and dining options with incredible views. The whole family can try sliding down Spruce Peak on a 2,300-foot luge-style alpine slide. Two major attractions are the Bungee Trampolines and a 30-foot-high rock-climbing wall. Stowe Village is a great place to roam with strollers and surrounding it are facilities for playing tennis, kayaking or flyfishing, or, for the less adventurous, antiquing. Golfers can ask their hotel to book tee times at the 18-hole championship Stowe Country Club or the spectacular Country Club of Vermont. If you have the skills, try a self-guided canoe explore on a local river; if not, local operators can organize a guided trip down the Lamoille River by canoe or kayak, or a float trip on Lake Elmore. A very delightful and popular spot is Stowe’s 5.3-mile paved Recreation (Rec) Path. The trail begins on Main Street in the Village and winds its way up Mountain Road through gorgeous scenery, crossing charming wooden bridges over the West Branch River. Access to the path is available at points along the route. Originally conceived as a bicycle path, it is enthusiastically used by residents and visitors for biking, roller blading, jogging and strolling, and swimming/picnicking spots are available. In autumn, there's no better place to appreciate the striking foliage as leaves turn from red to gold to brown. This part of Vermont is very popular with family leaf peekers and bus tours full of retirees, so the roads can become congested. Striking out on your own two feet is one way of avoiding the crowds and taking in the best views in the region. If you visit in mid-September, your family can enjoy the annual Celebration of the Vine Harvest Festival, now more than a dozen years old. Over a long weekend, you can expect a plethora of fun activities that includes grape picking — straight from the vine to train kids for that France vacation you've been dreaming of; crushing and pressing grapes plus a stomping contest (bring a change of clothes); live music and demonstrations by costumed interpreters on historic farming techniques. Of course, what's a family festival without clowns, face painting, games, hayrides and, typical for off-beat Stowe, llamas in the petting area. In the winter, the Rec Path perfect for cross-country skiing. Families love the Rec Path and you will often see that older kids are on bikes, younger ones on trikes, and babies are being pushed in strollers or toddling along. Grandma and grandpa are out walking and even pets are allowed. Many families think of Stowe at its best under a thick blanket of snow. Stowe Mountain Resort (800/253-2232, 802/253-7355), often called the Ski Capital of the East, is found just six miles from the village. Established in the 1930s, it enjoys a lengthy history as a winter wonderland, and offers 48 unique trails that were cut the traditional way, by handsaw, and cleared by oxen. Stowe Mountain’s winter season lasts from mid-November to late April, and it boasts of annual snowfalls of over 300 inches (though there's plenty of on-mountain snowmaking, if needed). 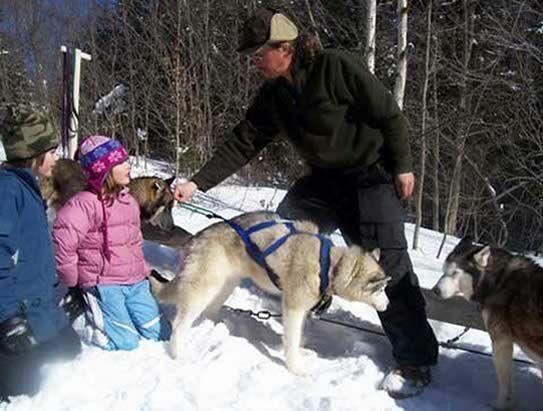 During the season, the state-licensed Cubs program offers day care to children from 3-months-old to 3-years-old, and a ski school teaches children from 3 to 14-years-old. The main peak, Mt. Mansfield offers a wide range of terrain for every ability level. While best known for the double-black diamond “Front Four” trails (Goat, Starr, Liftline and National), it also offers some great intermediate and beginner trails in the Toll House area — with Tollhouse itself being one of those long, scenic cruisers that kids love to try. Try to fit in lunch or a hot chocolate stop at Cliff House on the peak, where big picture windows provide views of Smuggler's Notch and New Hamsphire's Mt. Washington on a clear day. The smaller adjoining Spruce Peak is geared toward novices. The sunny, southern exposure keeps it warm, and the breathtaking views of towering Mt. Mansfield inspire the beginner and intermediate skiers and riders. Here the favorite trails for cruising down nice and easy with a view are Sterling and Main Street. The new Overeasy Gondola connects both peaks and can be boarded outside the recently built Spruce Camp base lodge, the place with restaurants, a bar, lounge, indoor and outdoor fireplaces, rental and repair shops, all located adjacent to the new gondola. Stowe Mountain Resort has almost completed a 10-year, $300+ million series of projects. According to spokesperson Jeff Wise, "Stowe’s mountain makeover began with new lifts, snowmaking and a transfer gondola connecting two mountains" in order to restore Stowe's prime position as queen of the eastern resorts. 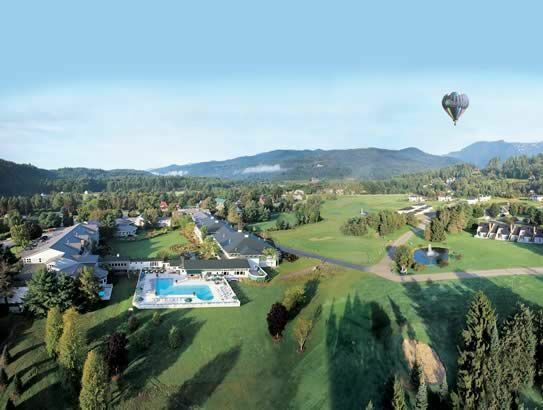 When the projects are complete, Spruce Peak will have "awe-inspiring architecture, state-of-the-art facilities, skiing, golf and inspired service amid the East’s premier recreational area," according to Wise. The goal of Stowe's refurbishment was to provide convenient access and enhance the facilities of both Spruce and Mount Mansfield and it's been very well done, adding enormous convenience for families with younger kids. Other winter sports, such as snowmobile tours, cross-sountry skiing and snowshoe treks are available through local vendors. There are many lodging choices for those who don't want to splure on on-mountain accommodations, especially along the Waterbury-Stowe Road which is packed with tourist stops like the fun Ben & Jerry's Ice Cream Factory Tour. Located right on Main Street in downtown Stowe, the Green Mountain Inn began life as a private residence and has undergone many renovations, restorations and expansions. The hsitoric facade from 1833 is intact, and more posh rooms with Jacuzzi tubs, and perhaps less charm, occupy the adjacent former Train Depot and an extension out back. 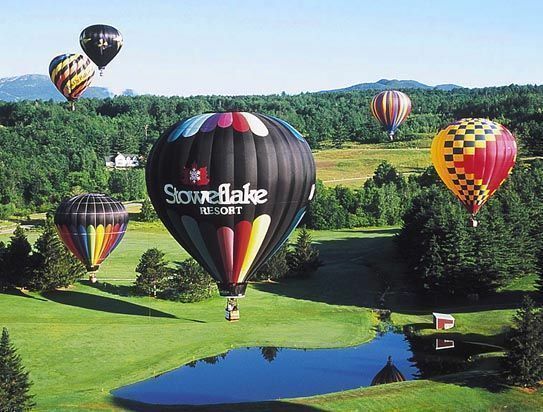 Stoweflake at Stowe is a family-owned resort that many FTF families have enjoyed over the years. The Topnotch Resort & Spa at Stowe in another favorite in the area with a highly regarded spa (treatments available with advance reservations for non-guests as well). For more information about the region, and a variety of hotels, B&Bs, ski condos and other lodging options, check out the Stowe Vermont Visitors & Convention Bureau (877/Go-STOWE) or stop by their friendly information desk at the Stowe Area Association, Main Street, Stowe, VT 05672. It is an wonderful idea for a new life !